If you cannot think of a game, think of a spec. Think of rules. Implement logical interactions, checks and tests. The threaded, animating game view is one option. Debugging discrete state should take no less creativity: are they not data, calculable, derivable, pregnant of insight? Inspiration comes in its time; I cannot rush it. All I can imagine is the requirements of a vague circumstance, and vivid scenes, and imagine at the play between. It is a gift of time to inherit the sum past in hand, collected experience in one field. Now, behold: a light brighter past night begs its due, and in that onslaught is the core expression of our vulnerable love. Tools as the brushes we craft, for canvas to impress, once intangible ideas exercised in full manner and glory, constrained by time and pushed to fore by it, plenary purpose evoked from the growth of sable to handle: from the same fingers, compiling symbols; from the same hand, desperate art. There is the most simplicity in the asynchronous process: I’ve only used it twice, while the world is lit by threads. First to divide jobs independent, and second to return immediately from a web service. It still unsettles me that an object in execution could share its data structure with multiple lightweight entities. It is my next file challenge. The connection is established before this happens, but nothing gets echoed on the telnet screen. The solution was to use the LAN IP of the self-machine. With port forwarding, I was able to connect from a foreign connection! It was similar to setting up a server in Minecraft. I used Netbeans to build .jar versions of both client and server. Be sure to copy the lib\ directory when you transfer the client to the test machine, as there is a log4j dependency. Test on local machine using LAN IP. Use ipconfig and cygwin telnet. The client will use the public IP. Use the router IP to set up port forwarding. 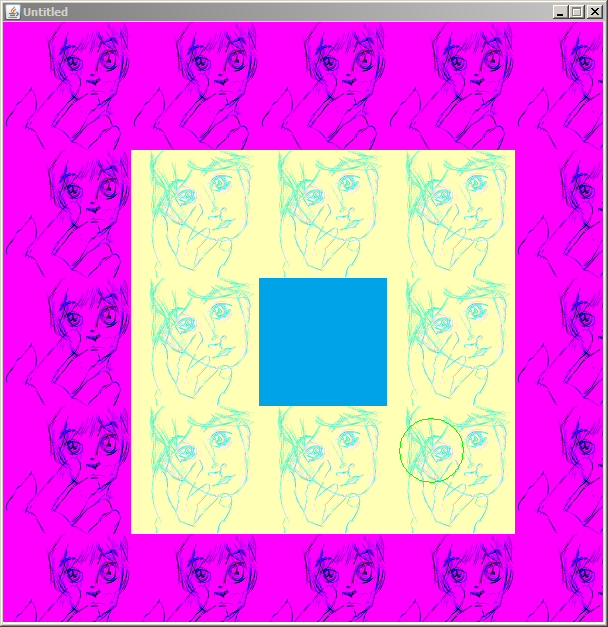 By drawing the player at player.X + x_offset and player.Y + y_offset, the screen scrolls with the sprite. This is desirable: the screen into your world can access all portions of the map. Now that we can define the world, what kind of world will we make? Flush with the ability to consume the world in chunks, there is one other thing: collision detection. Without bounding the sidescrolling coordinates, the tile ordinals will need constraints in the array loop to draw them – but that won’t prevent out-of-bound exceptions. Specifying limits on the offsets lets the player move around without scrolling off the map. 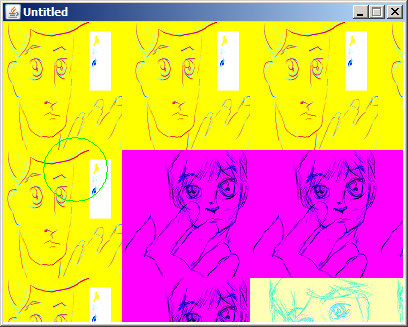 int first_tile_ordinal = -x_offset / TILE_WIDTH; // negative index! If your first_tile_ordinal is off due to player too far right, the index window is shifted right too. MVC is kind of weird with games. Typically, there is the view forwarding messages to the controller, which sends them to the model, and the view manages the effect of a return code or an output stream. In games, the phenomenon of “one” model is multiple game object entities: each handles its own drawing; each – with the requisite parameter of a game object or the world bounds – manages its own collision logic. There are plenty of exceptions. One such iffy is “a priori” collision: within the game update, calculate path intercepts, sort for the closest event, and advance all objects to that point; repeat while time is positive. Hewing to the One True Model idea, I ended up with a Rules class that had its own update() and draw() methods. It drew and updated as the controller dictated, so it was kind of MVC; however, graphics and world state were combined. It felt vulgar. The alternative is to accept the pluralistic one: each object holds a model of the world; each object manages its own existence. So we shift the tile map one pixel left. Scrolling! The offset lets us draw tiles gradually scrolling. The offset lets us draw the fortieth tile as the leftmost tile on the screen because the world slides for us. I’ve always been a poor student, so it is a sea change for my personal curriculum to digress sharply among books: rather than following one to completion, I jump from title to title, an eager host, interviewing each author in turn – a human moderator of paper conversations. The two-thread idea was a wash: the animation was not very fluid; I didn’t know why; I got frustrated. Then “Killer Game Programming Java” showed up, and just in time: the second chapter went into measuring frames per second! As well as another example of a game loop (two if you count the nanosecond timer from Java3D utils). Maybe one does not finish books, but writes demonstrative programs and completes projects. Getting PNG transparency working was a great boost in inspiration. The caveat is the window size must be wide enough to stop scrolling. If the game window is not wide enough, the character will collide with the edge before the last tile is reached. Brackeen’s double-buffering strategy is better; my updates still have tears and subtle flicker. His threading code enables a 0.5f velocity to move faster than my 5f dx change. Maybe it is due to using GraphicsDevice in the Screen class. The second constant, ONE_TILE_WIDTH, is the tile width; launch Paint, resize the canvas, and make some nice 128×128 tiles. At the far right, scrolling stops because screenWidth-as-a-point minus the player’s current x-position is way far to the left, way, way over there, versus screenWidth minus mapWidth, which is less so (but still way out to the left). Twist: the offset is negated to determine the ordinal of the first tile to draw! x_offset is negative all this time, and then we flip the sign to determine which tile will be drawn first from the left of our screen. Yet the x-position of the tile is that number plus the raw (negative) x_offset.